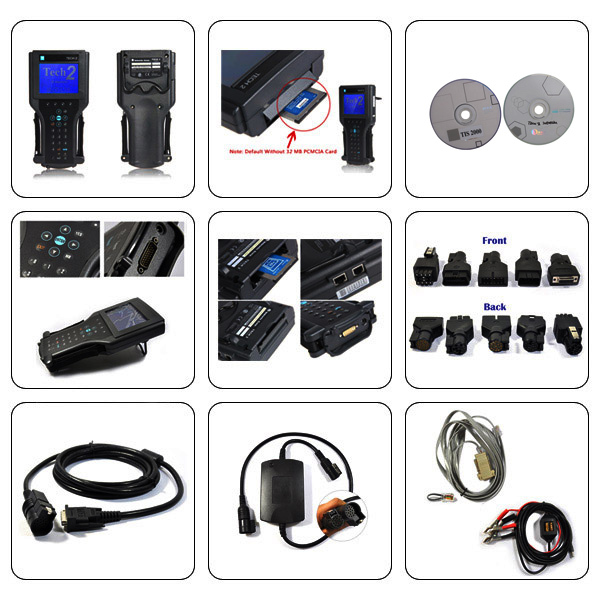 GM Tech 2 Diagnostic Scanner, a very good tester used to diagnose GM vehicles,comes with Authentic GM software and supports on-board diagnostics on all GM systems 1992 thru 2014, With freeTIS2000, you can do programming for GM cars till year 2007. 1. With slight Package ,this Tech2 will save lots of shipping cost and bring more convenience to your customs clearance when needed. 2. Supports diagnose for 6 car brands: GM/ SAAB/ OPEL/ SUZUKI/ ISUZU/ HOLDEN. 3. Supports multi-language: English/ German/ Spanish/ Japanese/ French/ Italian and others. 4. Can be Updated by 32mb card. 1. This package comes with 1 memory card and contains 1 software. 2. If You Need more Software, Please Buy Additional 32MB Memory Card. After Sale Service: One Year!! Enough Stock Ready Ship! SP23,SP23-C is the same as SP23-B, it also includes the Black carry box, but comes from another manufacture. SP23-1 is the most cost effective one,it is with carton box, will help you save much more money. If you need the most professional Tech2 with best quality, please choose SP23-B ,because it has a black carry box.